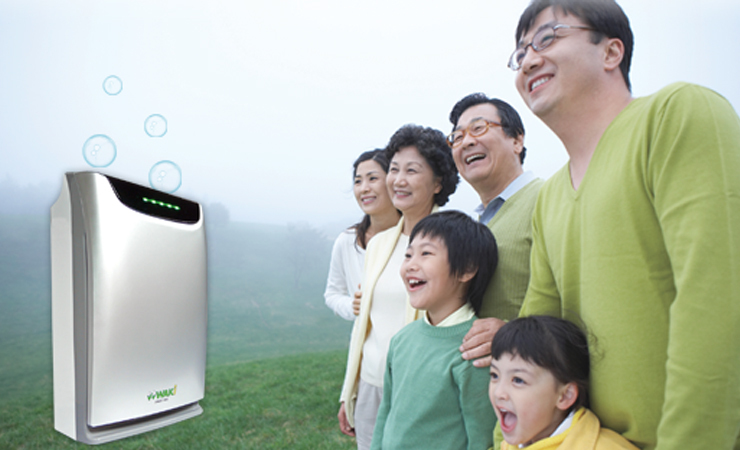 WAKi Multi Functional Ion Air Humidifier is multi-functional air purification and humidifier health care equipment. It was created by advanced country to produce clean and healthy air for healthy living. It helps to reduce air pollution in room and provide healthy environment in house and office. 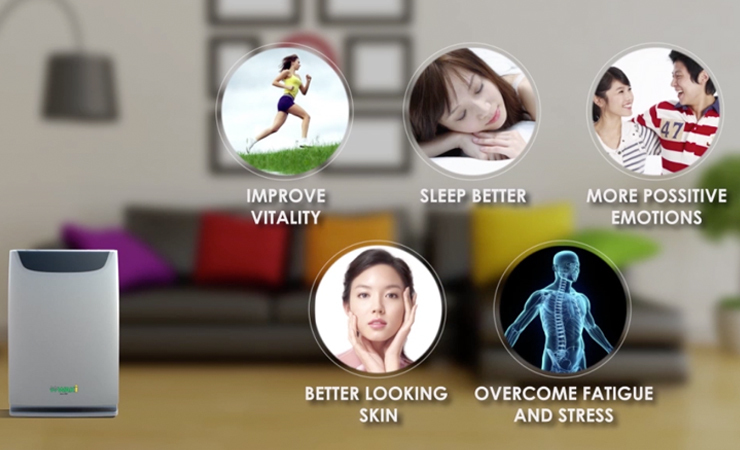 After using WAKi Multi Functional Ion Air Humidifier, we will live healthier. 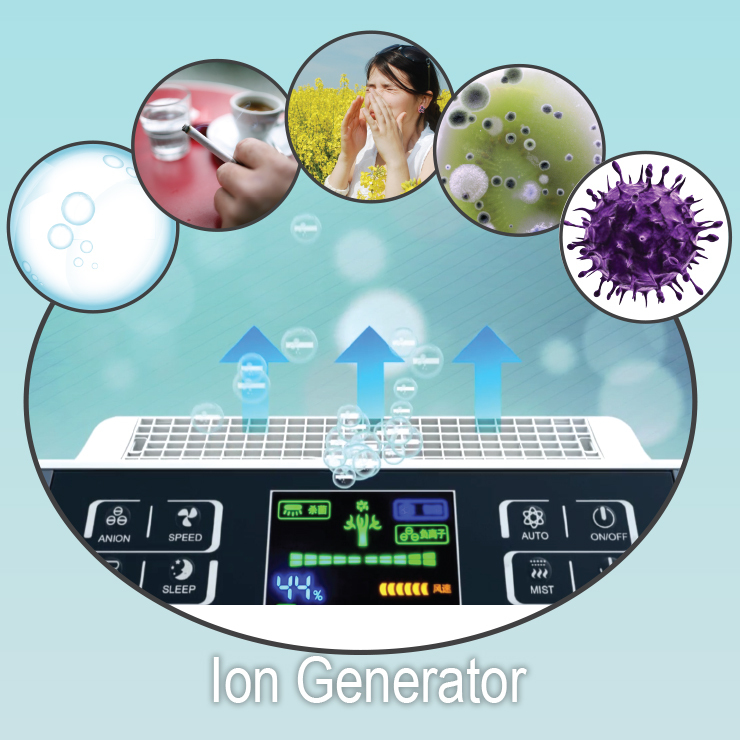 How Does The WAKi Multi Functional Ion Air Humidifier Work? It can degrade the harmful gases, kill numerous bacteria, decompose and dispose the toxin from bacteria or fungus. 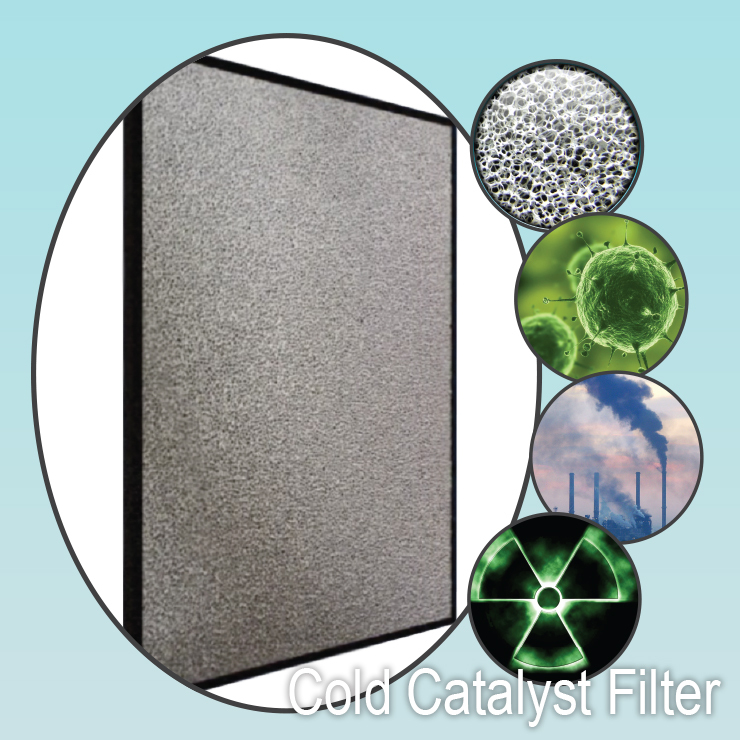 With cold catalyst filter, air quality in room can be improved. 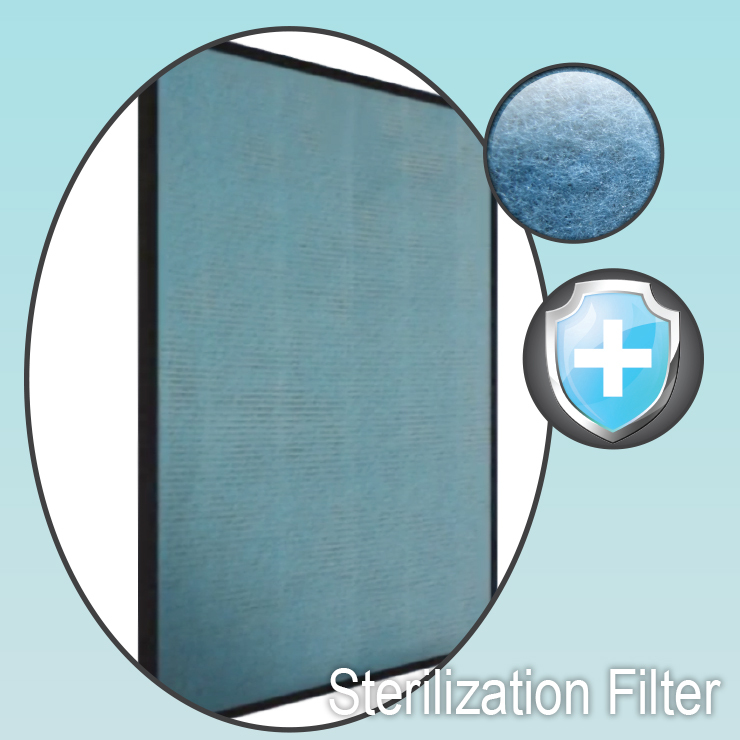 Sterilization filter is the filter that used for destructing and removing of all microorganisms that could threaten our health. With particle retention ratings of 5 microns, sterilization filter acts as antimicrobial agents, which is effective to kill bacteria in the air with an antimicrobial rate of 99%. 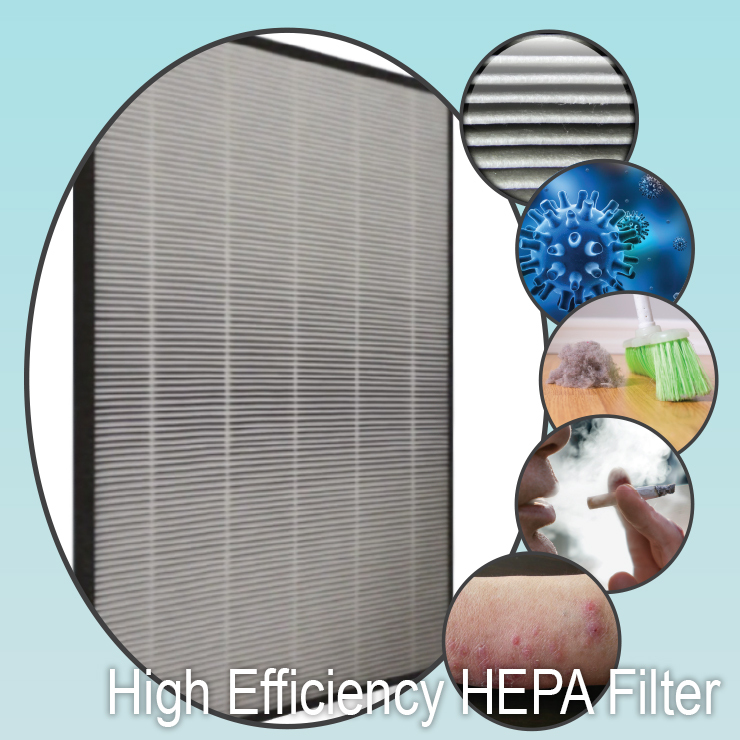 HEPA filter can filter particles such as bacteria, smoke, dust, allergens and viruses. 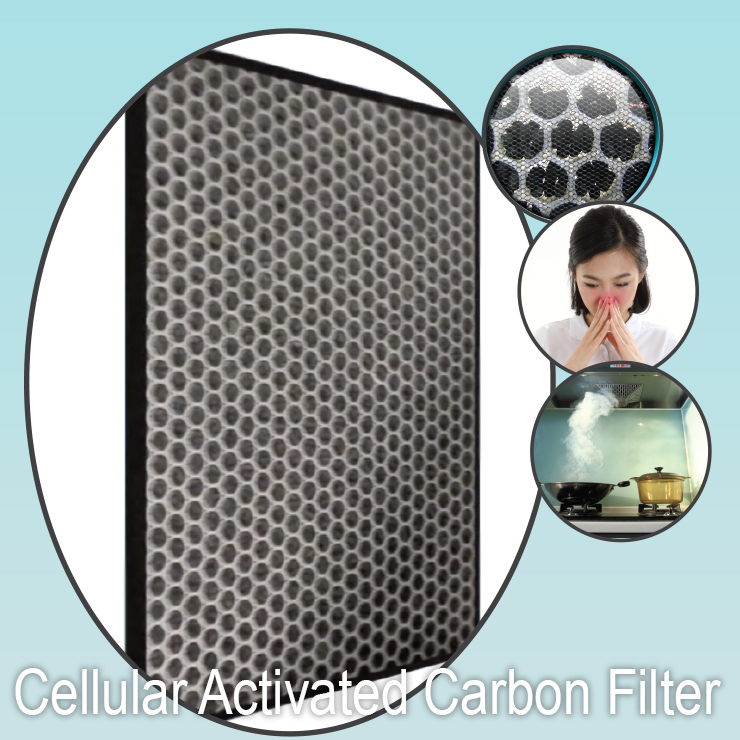 With HEPA filter, air quality in room will become clean. If the air odor quality is bad, it will show red color; if the air odor quality is normal, it will show orange color; if the air odor quality is excellent, it will show green color. 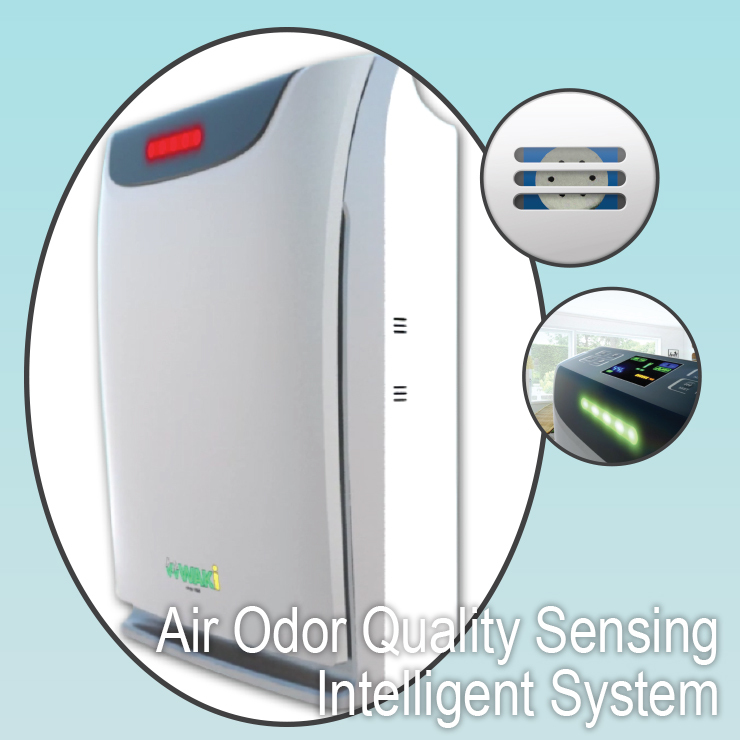 With air odor quality sensing intelligent system, air odor quality in the room will be notified. 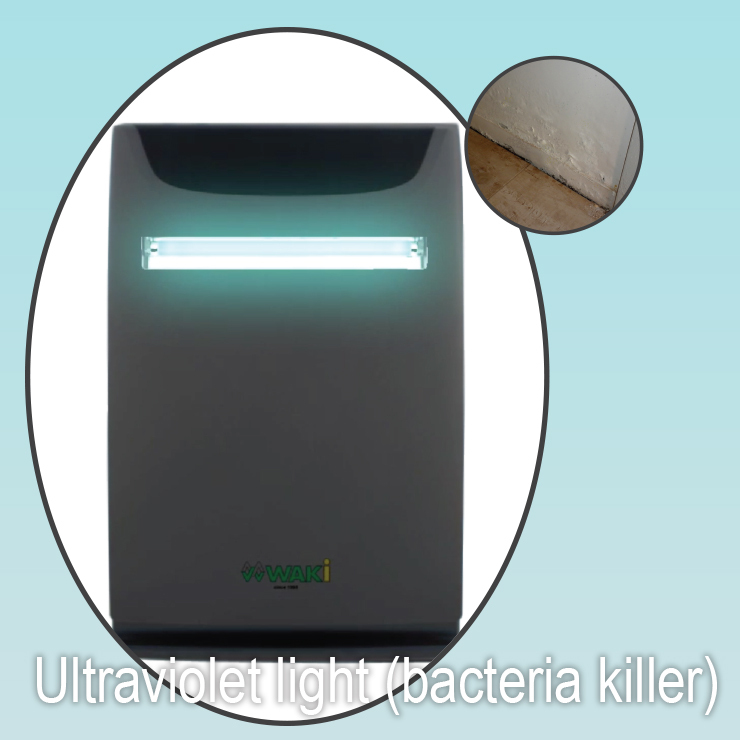 By applying 245nm wavelength ultraviolet (UV) light in WAKi Multi Functional Ion Air Humidifier, it can kill bacteria in the air. UV germicidal lamp is used for air, to purify air and eliminate musty. It also helps to avoid bacteria and virus to spread in the room. Clean and healthy air must have a humid level that suitable to human body. Humidifier helps to improve respiratory system problems, skin dryness problems and sensitive nose problems. Humidifier is suitable for those who always exposed to air-conditioning room, such as office or bedroom. Negative ion is an important element in our respiratory system because negative ion can neutralize our body condition from acidic to low alkaline and it helps to recover weak cells in our body. Negative ion can also neutralize positive ion such as smoke, dust,pollen and bacteria in our air. If our air is full of negative ion, our air in our room will become cleaner and healthier. 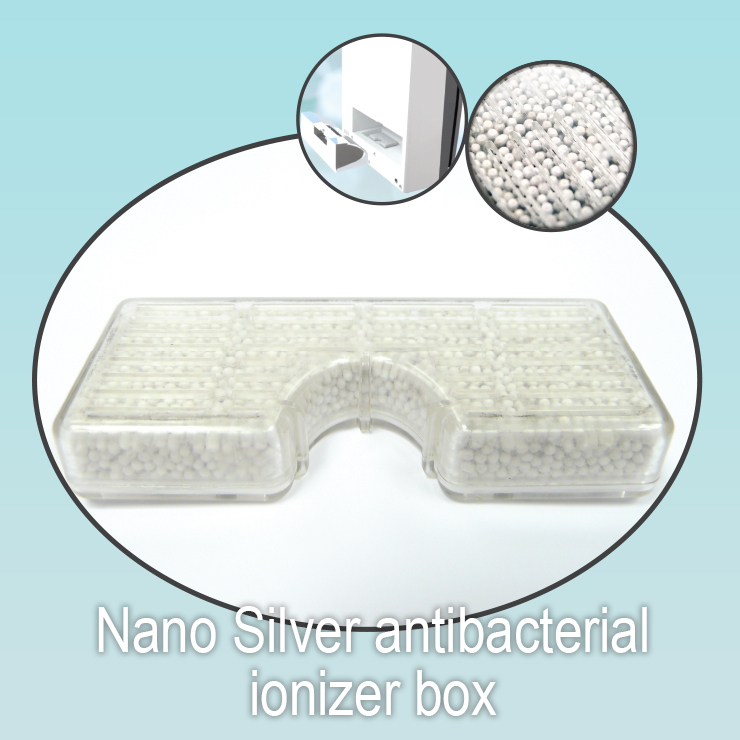 Nano Silver can release silver ions and negative ions, silver ions can efficiently kill more than 650 kinds of bacterial in few minutes. 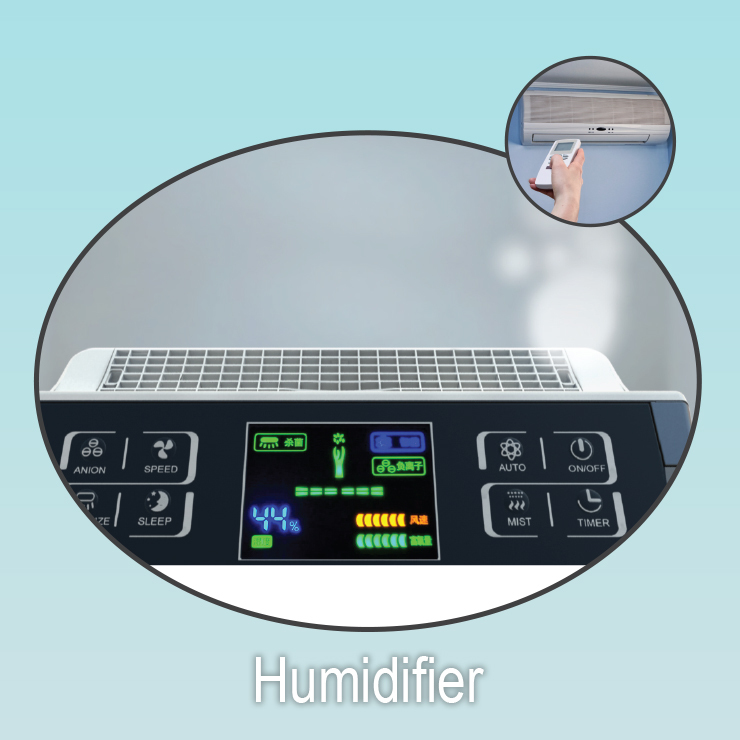 Therefore, the mist produced by humidifier is healthy, non-bacterial and enriched with negative ion, the mist that released could effectively improve air quality. 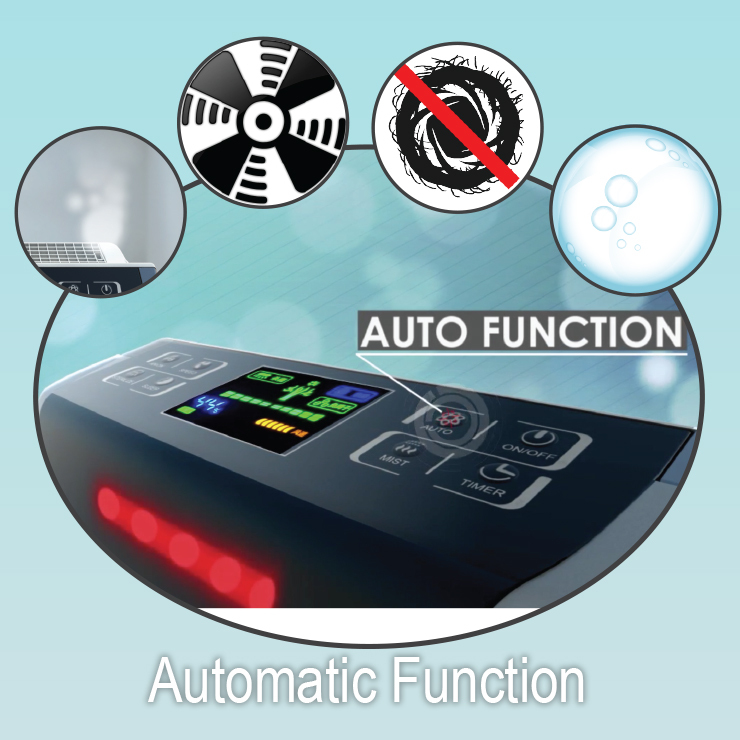 Press the auto button to automatically open four functions which are negation ions, kill bacteria, wind velocity and atomization of mist; under automatic mode, wind velocity based on present air quality auto adjustment while atomization of mist based on present air humidity auto adjustment. What are the criteria of healthy air? Healthy air must have a humid level that suitable for our body. Healthy air must be free from dust, smoke and pollen. Healthy air must be free from unpleasant odor. Healthy air must be free from bacteria. Healthy air must have negative ion.